West Parkland Gas Co-op Ltd. is concerned with the safety of homeowners, contractors, employees and communities. The most common reason a natural gas line is hit is because the homeowner or contractor did not have underground utilities located before they planted trees, dug fence post holes, anchored supports for a deck, removed tree roots or other underground construction activities. Don't guess how deep natural gas lines run! Ensure your safety and the safety of everyone around you by having your line located before you dig. 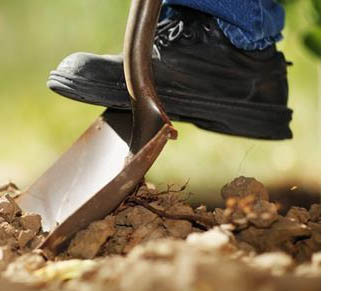 Click Before You Dig by contacting Alberta One-Call for more information, a list of subscriber companies, or to submit your line locate request online. Give Alberta One-Call two working days' notice. With just one phone call Alberta One-Call issues a line locate request notification to subscriber companies to ensure their underground facilities in the search area are clearly marked.